This past weekend, Jordan Kitt’s Music was proud to be part of a special recital at Greenhill Winery. The wine tasting and piano concert featured the talents of acclaimed pianists Nikta Fitenko and Katerina Zaitseva! 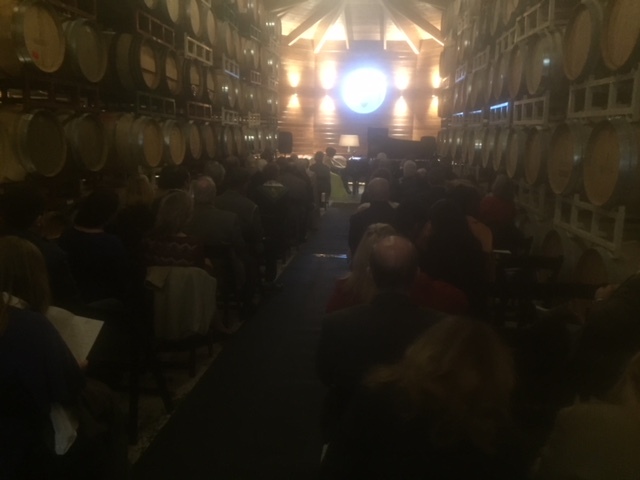 The Middleburg Music Fest International took place in the stunning Barrel Room in the beautiful horse country setting of Middleburg, Virginia. Music by sby Brahms, Grieg, Dvorak, Mussorgsky, and Barber were all part of the event. The event was ponsored by Jordan Kitt’s Music, the Town of Middleburg, and Greenhill Winery. Previous Previous post: Maryland Winds Concert: My Favorite Things!